 Post Oak Place offers newly renovated homes, a sparkling swimming pool, outdoor kitchen, a fitness studio, and a leash-free dog park! Pet Policy: We welcome 2 pets per apartment home. There is a $88 pet fee(non-refundable) per pet. Pet rent is $15 per month. There is a weight limit of 75 pounds per pet, and aggressive breeds are prohibited. Please call our leasing office for our complete pet policy details.